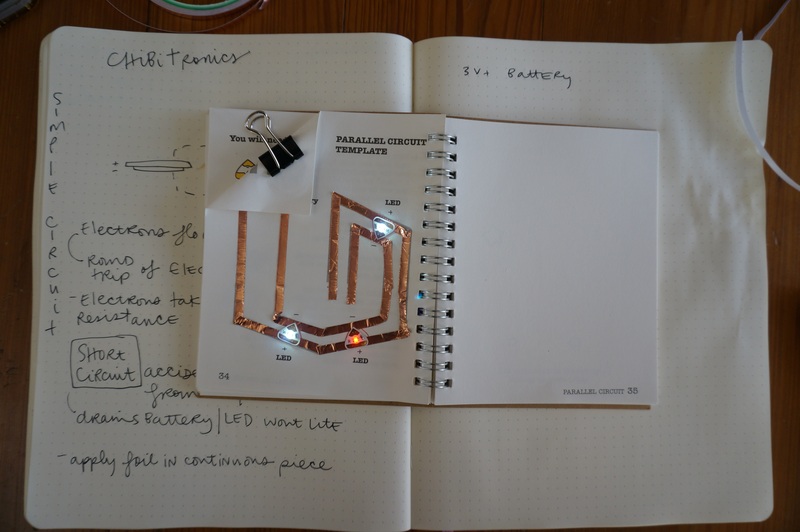 Chibitronics: This was so fun– a lot more satisfying than some of my Arduino attempts. My LED lit up and that’s all the thrill in life I really need. I bought the Chibitronics kit from Sparkfun before the Thanksgiving holiday. It took about 30 minutes to read and complete the project. It’ll take more time to explore, but le sigh, I’m back in my cubicle and cannot craft away all day. Chibitronics Circuit Stickers: The kit walks you through the basics of electronic circuitry-the very basics, just enough building blocks to get a young person hooked. or someone like me, who really wants to know the tricky ins and outs of analog electronics, but the facts don’t seem to stick. I think any young student could follow the booklet and start tinkering with the components. Give it a whirl! I might try this one next.